How to Play AVI files on Apple TV Freely? With the popularity of Apple devices, more and more people are full of enthusiasm about Apple’s electronic products because IOS has awesome performance, excellent security, and the best gaming experience. What’s more, it is excellent for media entertainment such as listening to music and watching movies. So as a matter of course, Apple TV is also one of the most outstanding digital media players around the world. There is a problem that the supported video formats of Apple TV are H.264 up to 1080p at 30 frames per second (1st and 3rd generation, 4th is 60 frames). 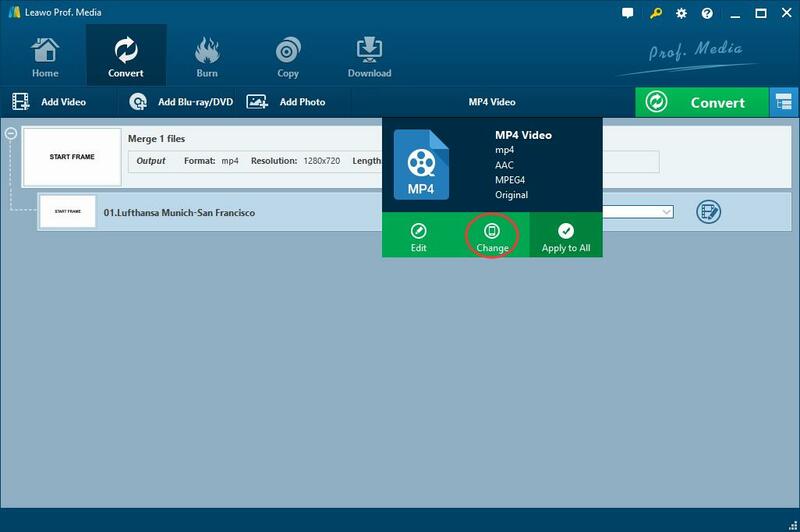 Popular speaking, it only supports some MPEG-4 formats such as MP4 videos. What if AVI or any other video formats do? Can Apple TV play AVI Files? Or is there any method to playing AVI files on Apple TV? I believe that these are also what a lot of Apple users want to know. That’s the reason why I write this post to you—-To help you solve these problems and watch AVI on Apple TV. The answer to those questions above is definitely yes; of cause you can watch AVI videos on Apple TV and there is an easy way to play AVI files on Apple TV. As we all know, whether via iTunes or any other apps to stream AVI to Apple TV, the precondition is that the AVI is one of the supported formats of Apple TV. So the solution about how to play AVI on Apple TV is to convert AVI to Apple TV more supported format like MP4. To make a long story short, if you want to play your AVI files on Apple TV, the best way you need to do is converting AVI to Apple TV. I will show you two ways to finish AVI to Apple TV conversion in the next part. The first method to convert AVI to Apple TV I suggest you is to use the best video converter-Leawo Video Converter. It is one of the most popular video converters in the world, supporting more than 180 different formats including MP4, AVI, FLV, MKV, MP3, and so on. Leawo Video Converter is the best choice for your video conversion needs because it enables you to convert video to any format if only you want. Without a doubt it can help you convert AVI to Apple TV as well. 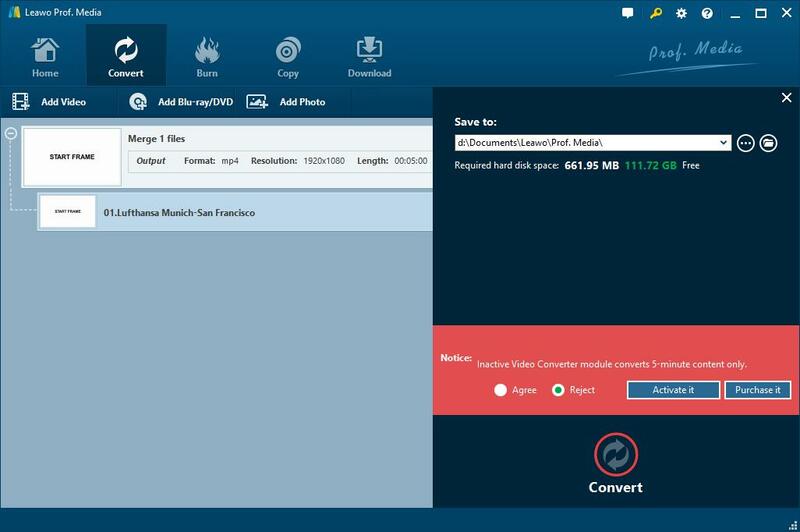 Here in this part I will show you the details about how to use Leawo Video Converter to do this job. Before that, please download and install Leawo Video Converter first. Open Leawo Video Converter to enter the main program interface, clicking the “Add Video” button and load your source AVI video which you want to convert. Find the drop down box next to the “Add Photo” button and select “Change” option on the list. You will enter a subpage including many video formats after clicking the “change” button. Select the “Device” button in the green menu and you will find “Apple TV” by choosing “Apple” in the submenu. What you need to do next is setting Apple TV as the output device. Click the green button you can set the output files on the popup sidebar. It won’t take too much time to finish the conversion after you tap the “Convert” button again. 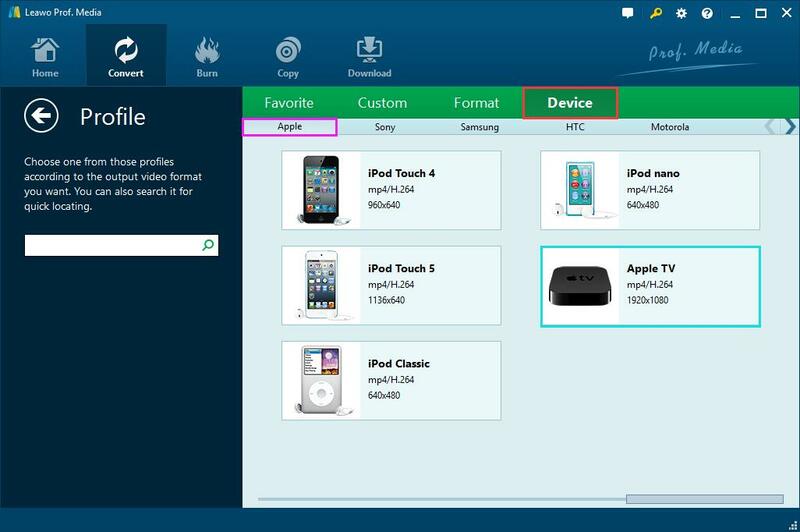 If you are unwilling to download and install program, there is also some online AVI to Apple TV converter which can help you convert AVI to Apple TV without spending any time download the software. There is a list of 3 online video converters which can do this job much better than other online converters. Among those online video converters, Zamzar Free Online Converter is worth trying. After entering the online page, you can follow the guide to convert AVI to Apple TV. The steps are easy to follow. There are two ways for you to import source AVI files into the free AVI to Apple TV converter online. You can either choose files from your computer, or add files from Internet. You need to choose “Apple TV” as output format under “Output format” drop-down list. An email address is necessary because the only way for you to receive converted files is by mail, which means that you need to enter the actual address or you will never get your converted videos. Click “Convert” button to start the conversion. Although it is very convenient for everyone to use the online converter for AVI to Apple TV conversion, it requires uploading and downloading, which means it might waste you more time on downloading your output files. In addition, it is probable that your email address and video content will be exposed to public, which will cause privacy leak. To be brief, both Leawo Video Converter and online Video converter do a very good job in AVI to Apple TV conversion. But if you prefer much safer and faster services, I think Leawo Video converter is still the best choice to help you finish the AVI to Apple TV conversion.